born Aug. 3, 1746, Burton Constable, Staffordshire, Eng. English architect chiefly remembered for his Romantic country houses, especially the extraordinary Gothic Revival Fonthill Abbey. 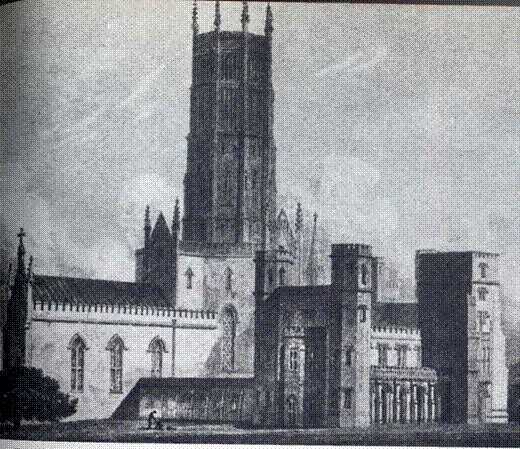 In point of originality, Wyatt's severely elegant works in the classical mode, like Heaton Hall, Lancashire (1772), and Heveningham Hall, Suffolk (c. 1788–99), were surpassed by the extravagance of his Gothic Revival buildings, of which the most sensational was Fonthill Abbey (1796–1807), Wiltshire. 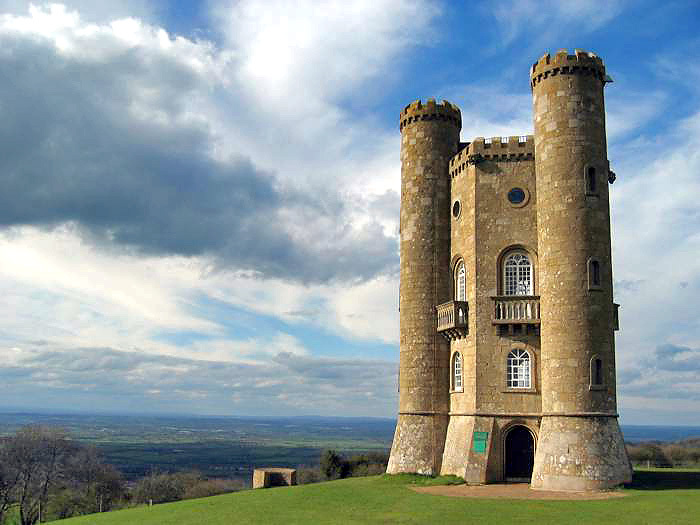 Initially this was built as a landscape feature and eventually developed into an extraordinary home for the arch-Romantic William Beckford, who supervised its design and construction. 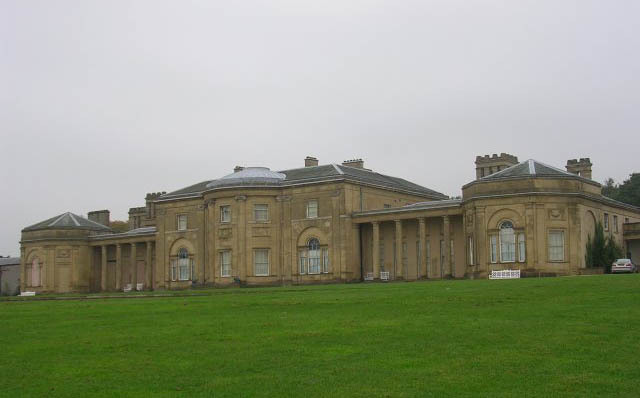 The great central tower (270 feet) collapsed in 1807, and after Beckford sold the estate, in 1822, the house further fell into ruin. Today it has mostly disappeared. 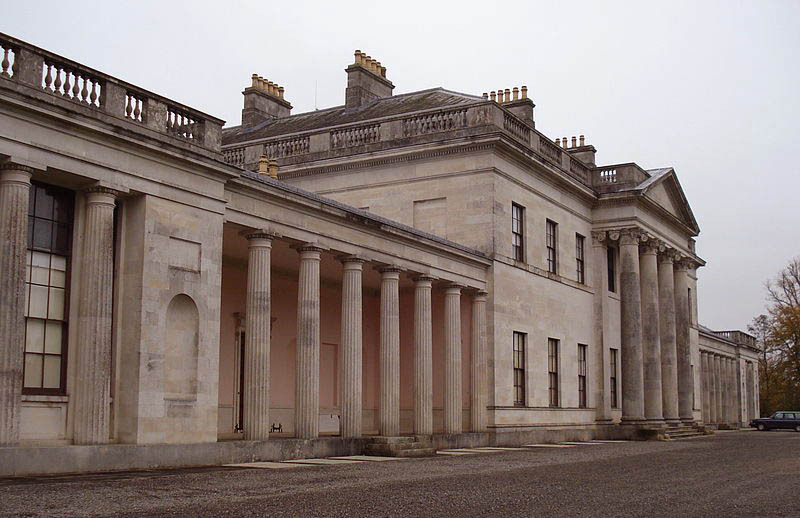 In John Rutter's Delineations of Fonthill (1823), however, one can still experience some of the building's grotesque, spectacular quality that made it architecturally notorious in the Romantic period. Other notable examples of Wyatt's Gothic country houses include Lee Priory, Kent (1783–90), and Ashridge, Hertfordshire, completed (1808–18)by his nephew, Sir Jeffry Wyatville. A biography of the nephew by Derek Linstrum was published in 1972. James Wyatt's design for the Oxford Street facade of the Pantheon in Oxford Street, London circa 1769. A painting of the Pantheon in Oxford Street, London, probably by William Hodges with figures by Zoffany. This shows the version which existed before the fire of 1792. 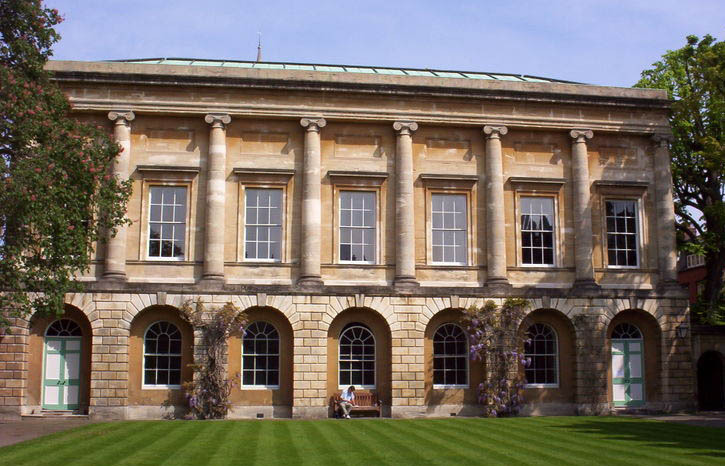 The Senior Common Rooms and Senior Library of Oriel College, Oxford. 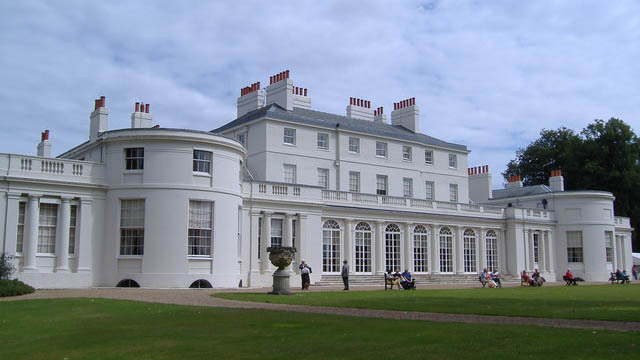 Designed by James Wyatt in the 1780s. 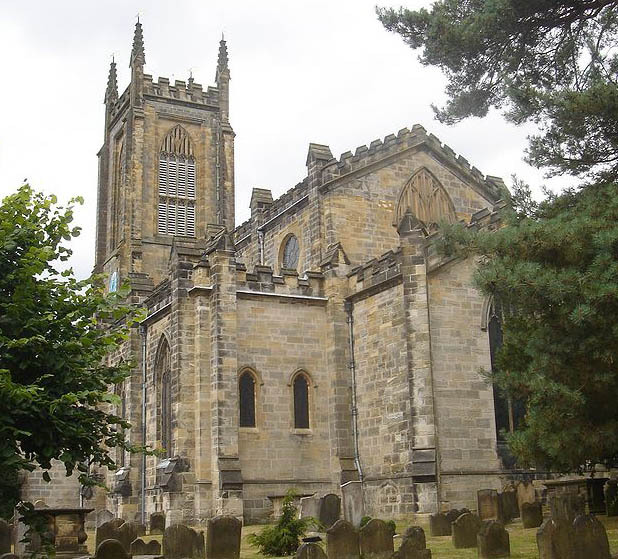 St Swithun's Church, Church Lane, East Grinstead, District of Mid Sussex, West Sussex, England. 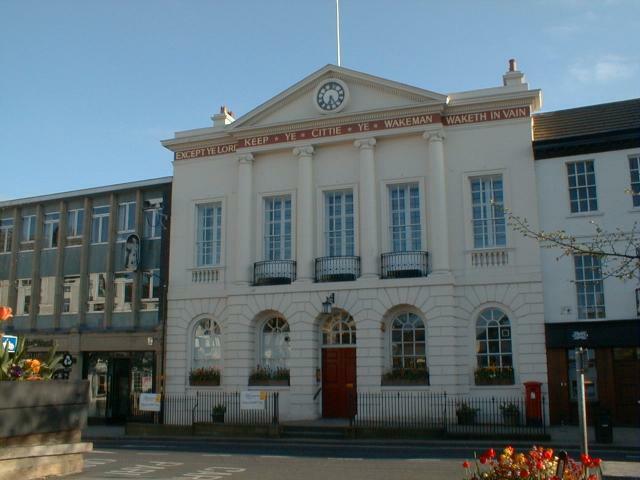 The parish church of the town of East Grinstead, rebuilt in 1789. A delightful Royal residence in Windsor Great Park with Victoria & Albert's Mausoleum in the grounds. the author of the gothic fantasy novel Vathek. (b Vienna, 7 July 1828; d Vienna, 14 July 1883). Austrian architect. He was a member of the second generation of historicist architects in Vienna, who continued and developed the pioneering work of such architects as Karl Rösner, Eduard Van der Nüll and August von Siccardsburg. These three, who represented the Romantic period of early historicism in Austria, were Ferstel’s teachers from 1848 to 1850 at the Akademie der Bildenden Künste in Vienna, and VAN DER NÜLL & SICCARDSBURG in particular were important early influences. After leaving the academy, Ferstel joined the architectural firm of his uncle Friedrich Stache (1814–95), whom he assisted until 1853 in building castles and country houses for the high nobility in Bohemia. Domestic architecture continued to play an important part in his work. 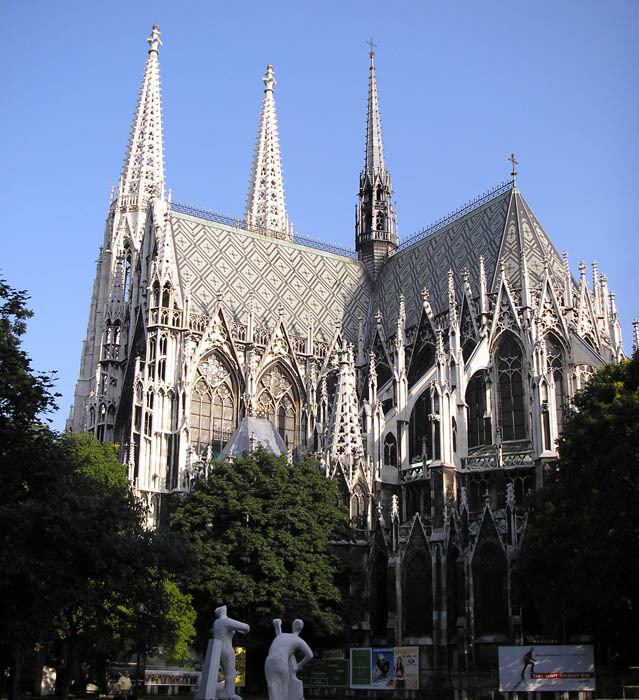 Before long, however, he was winning major architectural competitions, such as the international competition (1855) for the Votivkirche (1856–79) in Vienna. Friedrich von Schmidt (born Frickenhofen, Gschwend, Württemberg, Austria, October 22, 1825; died Vienna, Austria, January 23, 1891) was an architect who worked in late 19th century Vienna. After studying at the technical high school in Stuttgart under Breymann and Mauch, he became, in 1845, one of the guild workers employed in building Cologne Cathedral, on which he worked for fifteen years. Most of the working drawings for the towers were made by Schmidt and Vincenz Statz. In 1848 he attained the rank of master-workman and in 1856 passed the state examination as architect. After becoming a Catholic in 1858, he went to Milan as professor of architecture and began the restoration of the cathedral of Sant'Ambrogio. On account of the confusion caused by the war of 1859 he went to Vienna, where he was a professor at the academy and cathedral architect from 1862; in 1865 he received the title of chief architect, and in 1888 was ennobled by the emperor. In the Gothic Revival style he built in Vienna the Church of St. Lazarus, the church of the White Tanners, and that of the Brigittines. 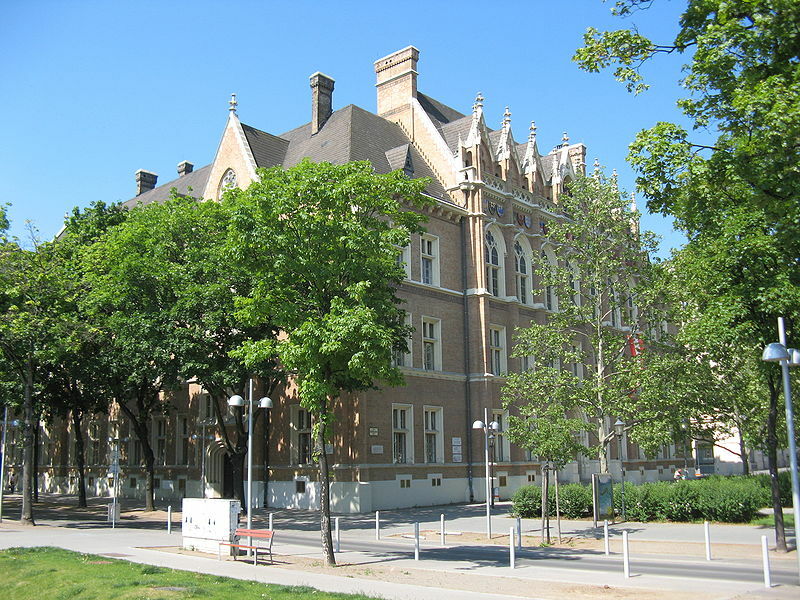 He also built a school, the Akademisches Gymnasium, with a Gothic facade and the memorial building erected on the site of the amphitheatre that had been destroyed by fire. The last mentioned building was in Venetian Gothic. A large number of small ecclesiastical and secular buildings in Austria and Germany were designed by him. His last work was the restoration of the cathedral in Pécs in Hungary. His chief fame however he gained by his restoration of St. Stephen's Cathedral, Vienna. He took down the spire and worked on its rebuilding up to 1872. 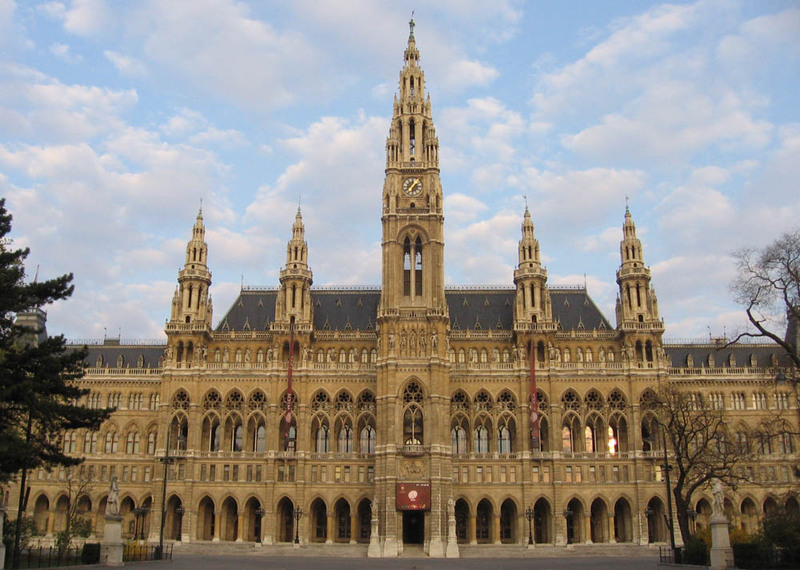 He also designed the Town Hall or Rathaus, Vienna, with a projecting middle section which has a central tower that rises free to a height of 328 ft. and is flanked by four smaller towers. A large court and six smaller ones are enclosed by the extensive building, the wings of which end in pavilions. In building the parish church in Funfhaus he even ventured to set a facade with two towers in front of an octagonal central structure with a high cupola and a corona of chapels. His motto was to unite German force with Italian freedom. He modified the tendency to height in the German Gothic by horizontal members and introduced many modifications into the old standard of the style in the hope of attaining a more agreeable general effect. He was teacher and model to many younger architects, including Friedrich Grünanger, Frigyes Schulek, Imre Steindl, and Karl Troll. A bronze statue of him has been placed before the town-hall of Vienna. His son Heinrich was overseer at the building of the cathedral of Frankfurt and afterwards professor of medieval architecture in Munich. He also designed Vaduz Cathedral and St. Joseph's Cathedral in Bucharest. From 1870 to 1882, he worked as chief architect on the neoromanesque Cathedral of St. Peter and St. Paul in Đakovo as successor of Karl Rösner. died Sept. 17, 1879, Lausanne, Switz. 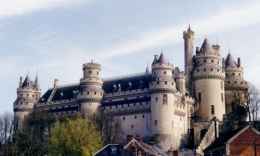 French Gothic Revival architect, restorer of French medieval buildings, and writer whose theories of rational architectural design linked the revivalism of the Romantic period to 20th-century Functionalism. Viollet-le-Duc was a pupil of Achille Leclère but was inspired in his career by the architect Henri Labrouste. 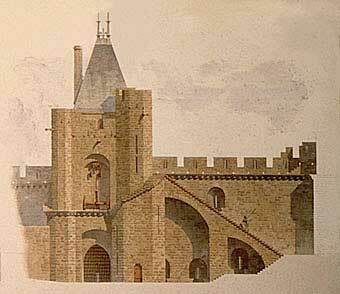 In 1836 he traveled to Italy, where he spent 16 months studying architecture. 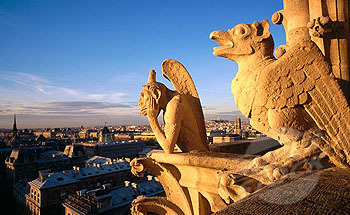 Back in France he was drawn irrevocably to Gothic art. J.-B. Lassus first trained Viollet-le-Duc as a medieval archaeologist on the restoration of Saint-Germain-l'Auxerrois (1838). In 1839 his friend, the writer Prosper Mérimée, placed him in charge of the restoration of the abbey church of La Madeleine at Vézelay (1840), the first edifice to be restored by a modern state commission. Mérimée, a medievalist of note, was inspector of the recently formed Commission on Historical Monuments, an organization in which Viollet-le-Duc soon became a focal figure. In the early 1840s (through the 1860s)he worked with Lassus on restoring the Sainte-Chapelle in Paris, and in 1844 he and Lassus were appointed to restore Notre-Dame de Paris and to build a new sacristy in the Gothicstyle; this commission was regarded as an official sanction for the Gothic Revival movement in France. Another important early restoration was the work done in 1846 on theabbey church of Saint-Denis. After 1848 he was associated with the Service des Édifices Diocésains, supervising the restoration of numerous medieval buildings, the most important being the Amiens Cathedral (1849), the synodal hall at Sens (1849), the fortifications of Carcassonne (1852), and the church of Saint-Sernin at Toulouse (1862). Viollet-le-Duc can be said to have dominated 19th-century theories of architectural restoration; his initial aim was to restore in the style of the original, but his later restorations show that he often added entirely new elements of his own design. Twentieth-century archaeologists and restorers haveseverely criticized these fanciful reconstructions and added structures posing as restorations, for they often destroy or render obscure the original form of the edifice. 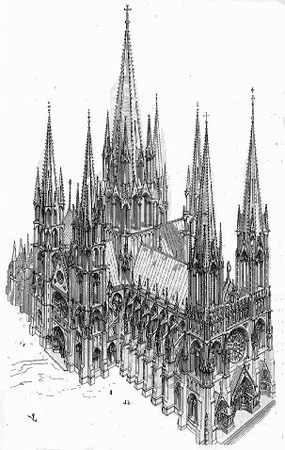 Of his original works, all his designs for ecclesiastical buildings were in a weak Gothic style, notably the churches of Saint-Gimer and Nouvelle Aude at Carcassonne and Saint-Denis-de-l'Estrée at Saint-Denis. In his own work, however, he was not a confirmed medieval revivalist, for all but one of his secular buildings are in an uneasy Renaissance mode. Viollet-le-Duc's numerous written works, all finely illustrated, provide the foundation on which his distinction rests. He wrote two great encyclopaedic works containing exact structural information and extensive design analysis: Dictionnaire raisonné de l'architecture française du XIe au XVIe siècle (1854�68; �Analytical Dictionary of French Architecture from the XI th to the XVI th Century�) and the Dictionnaire raisonné du mobilier français de l'époque carlovingienne à la Rénaissance (1858�75; �Analytical Dictionary of French Furniture from the Carlovingians to the Renaissance�). Running to 16 volumes, these two works provided the vital visual and intellectual inspiration requiredto sustain the Gothic Revival movement. He determined, however, to think his way beyond the Romantic attractions of the Gothic style. 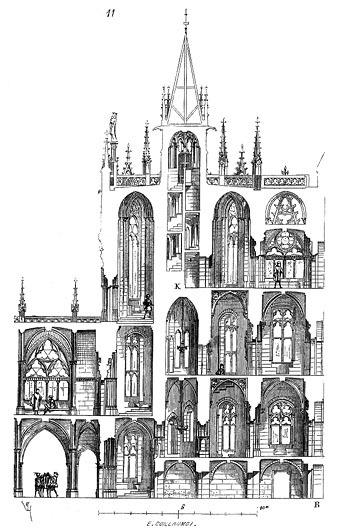 Pursuing the inquiries of 18th-century French architectural theorists, he envisaged a rational architecture for the 19th century based on the coherent system of construction and composition that he had observed in Gothic architecture but that would in no way imitate its forms and details. Architecture, he thought, should be a direct expression of current materials, technology, and functional needs. Ironically, he was unable to accept the challenge of his own ideas, for both he and his French disciples continued to design buildings in eclectic styles. Viollet-le-Duc's general theory of architecture, which affected the development of modern organic and functional concepts of design, was set forth in his book Entretiens sur l'architecture (1858�72). Translated into English as Discourses on Architecture (1875), this work, containing information on the construction of iron skeletons enclosed by nonbearing masonry walls, especially influenced the late-19th-century architects of the Chicago school, particularly John W. Root. Other important writings by Viollet-le-Duc include L'Art russe (1877; �Russian Art�) and De la décoration appliquée aux édifices (1879; �On Decoration Applied to Buildings�). One of a great quantity of Gothic studies by French architect Eugène Viollet-le-Duc at Wikimedia Commons. Also in the Commons is a large selection of photographs and drawings of the fortified city of Carcassonne which the architect controversially restored.